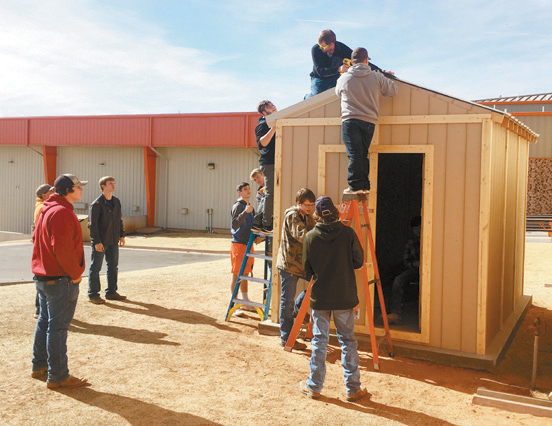 A newly created Construction class at Cheyenne High School has completed it’s first project, a storage building. The class set the forms for the concrete and constructed the building. The class is taught by Mr. Colby Thrash.